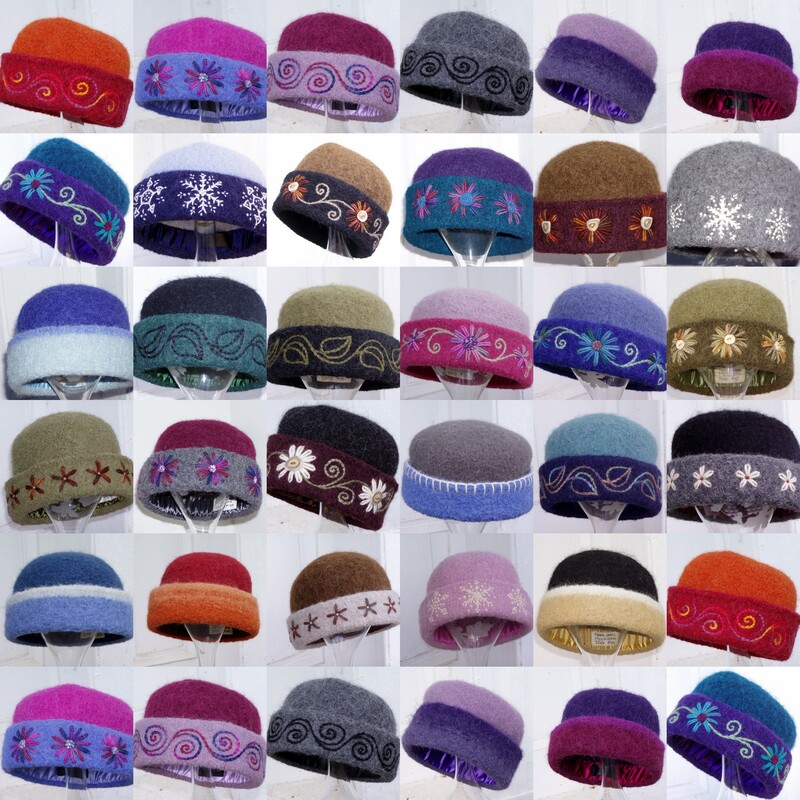 With no two designs ever coming out exactly the same way twice, each of my heirloom handknit hats is guaranteed to be as unique as you. And no hat will keep you as warm in the sleet and snow, I promise! Come and check them out for yourself from 9am – 2pm this Saturday at the Wentworth Greenhouses in Rollinsford, New Hampshire. Learn about more upcoming shows, or contact me to arrange a personal visit to my home studio in Canaan, New Hampshire. 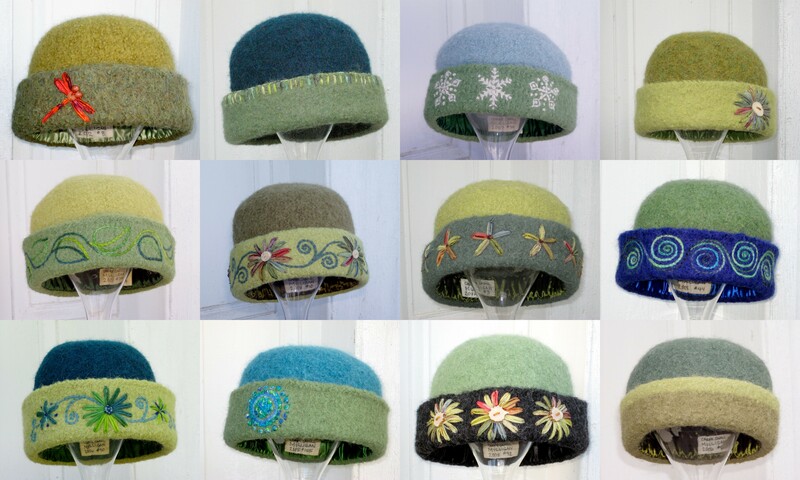 Green examples of my embroidered felt hat designs. I also updated my “Styles” page with all green hats. I hope you’ll check it out, and let me know your favorites! 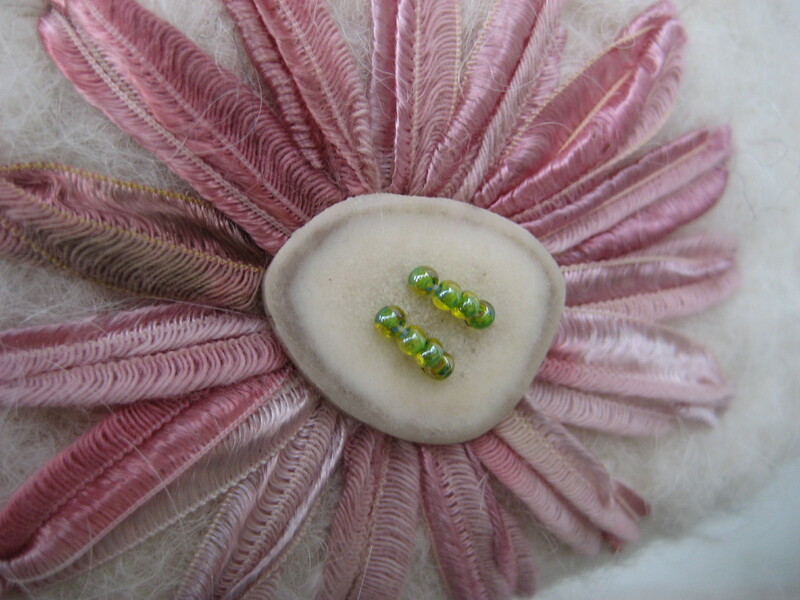 Tiny glass seed beads embellish this freehand ribbon embroidery on felt. The 77th Annual League of New Hampshire Craftsmen’s Fair runs August 7-15, 2010. 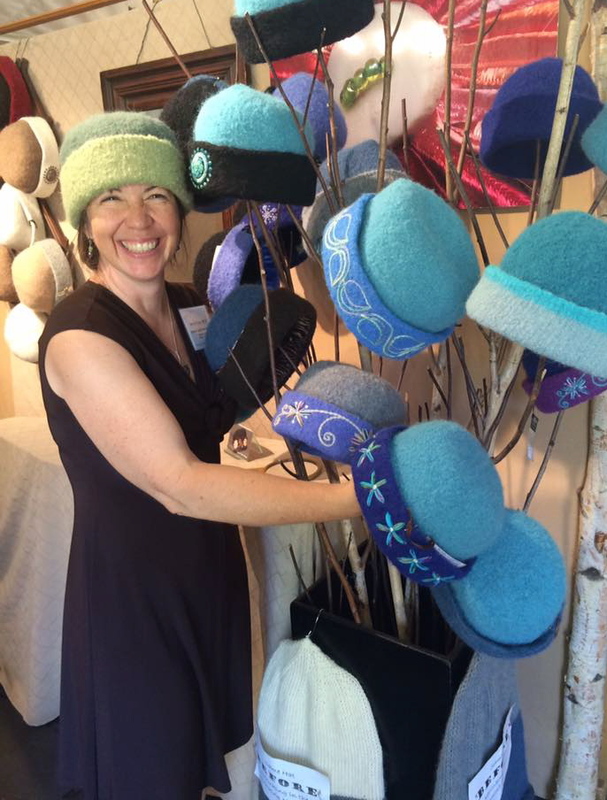 That means I have 2 more months to embroider the 100+ felt hats I’ve made this winter. One of my latest designs is this lovely pink flower embroidery, featuring a hand-cut caribou antler button with glass seed beads.